I’m happy to report despite the cold, the flu, and the TSA we made it through our Eurotrip and home relatively intact! 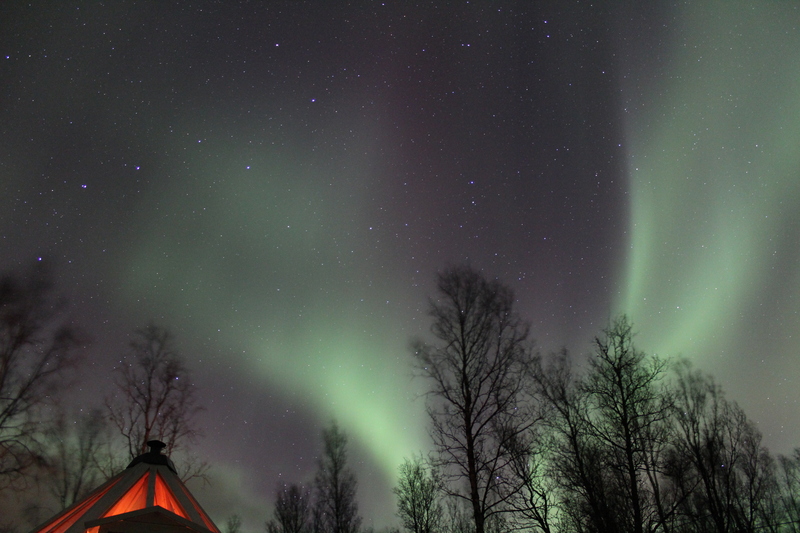 This post will be dedicated entirely to our first stop: Tromso, Norway. Why did two naive sun-lovers decide Norway in December was an excellent idea? Bucket lists. 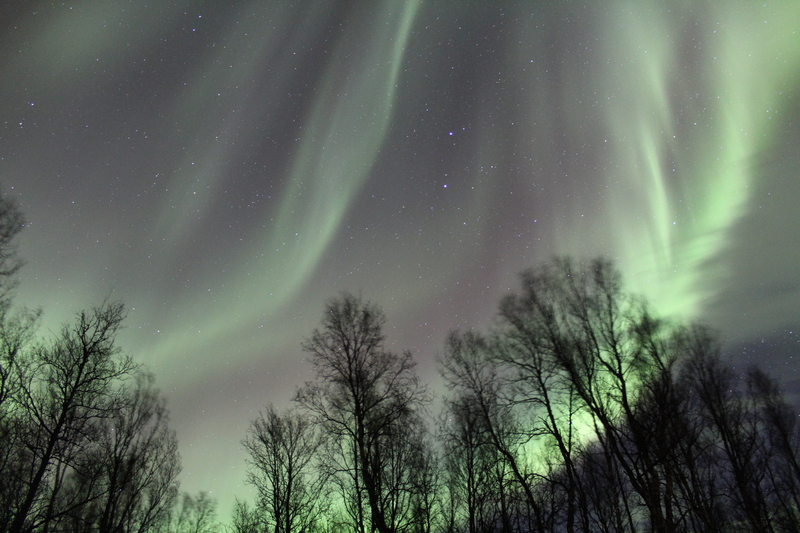 We both had the Northern Lights on there, and winter is the best time to see them so I packed my Costco-size bag of hand-warmers and off we went. Just our luck, Tromso experienced one of the warmest winter weeks in years when we arrived. It was around 40F on average, which made Norway one of the warmer places we visited. Go figure. The downside was no snow, which rather messed with our snowmobiling and reindeer-sledding plans. But we adapted and overcame! The city of Tromso is undoubtedly beautiful, even if we only had a couple hours of sunshine a day to appreciate it. To make up for the lack of natural light, Norwegians go ham on their Christmas lights: everywhere we went was positively sparkling. But where were the Northern Lights? Hidden behind clouds on clouds on clouds! I was pretty anxious we wouldn’t end up seeing them at all – fortunately, our night outside the city in Lyngenfjord saved the trip! After a grueling hike (some of us hadn’t exercised in months, whoops), one lap of an ice circuit (the only place we could kinda ride the snowmobiles…), and hours spent waiting on the Green Lady, she graced us with her presence around 11pm! I can’t possibly do justice to the beauty of the dancing green waves in the sky, so I’ll let the pictures do the talking. 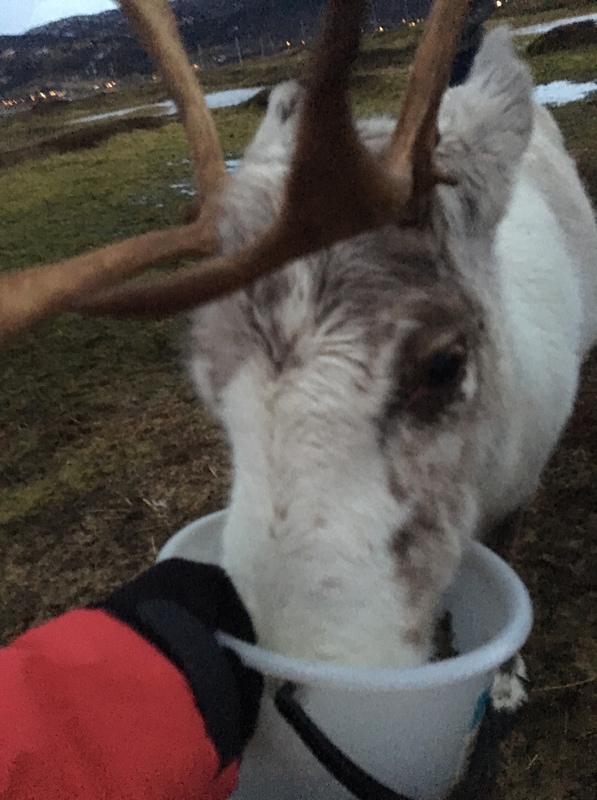 The other main highlight from Tromso was the adorable reindeer. No wonder Santa needs so many for his sleigh: they are just so itsy bitsy! But aggressive. 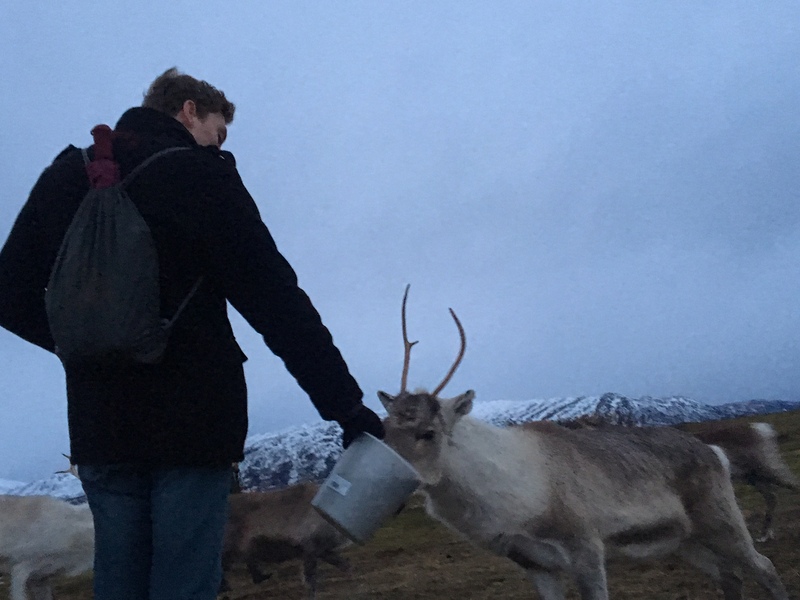 Reindeer don’t mess around with dinner, as we discovered while feeding them during a ‘Sami experience’ tour. The Sami are indigenous to Norway, and are the primary reindeer herders. (Side note: there are also ‘reindeer police’ who protect the herds and settle disputes and are generally badass.) 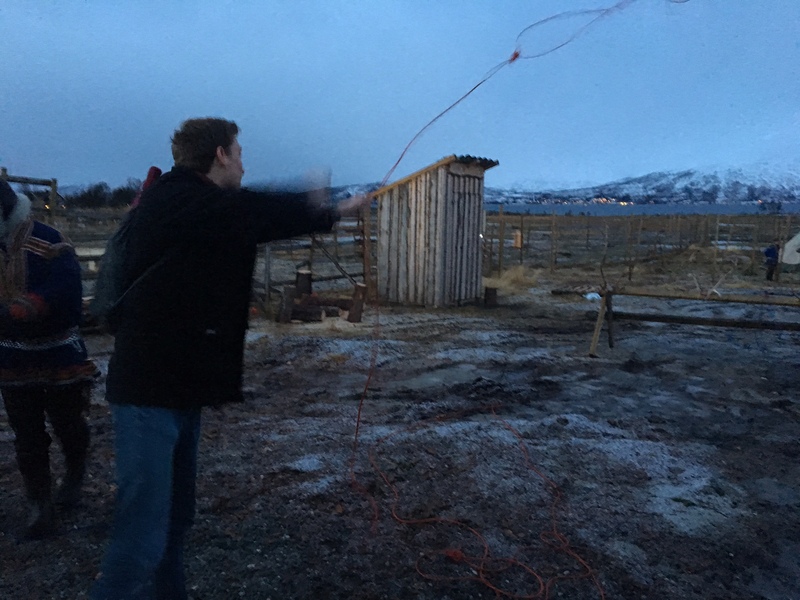 After some reindeer stew (Blitzen is delicious, I’ll leave it at that), we listened to a traditional Sami joik (an emotional song/chant about a place, person, or feeling) and tried some reindeer lassoing – spoiler, one of us nailed it on her first try, while one gets an A for effort. While Tromso was our longest stop, it flew by. 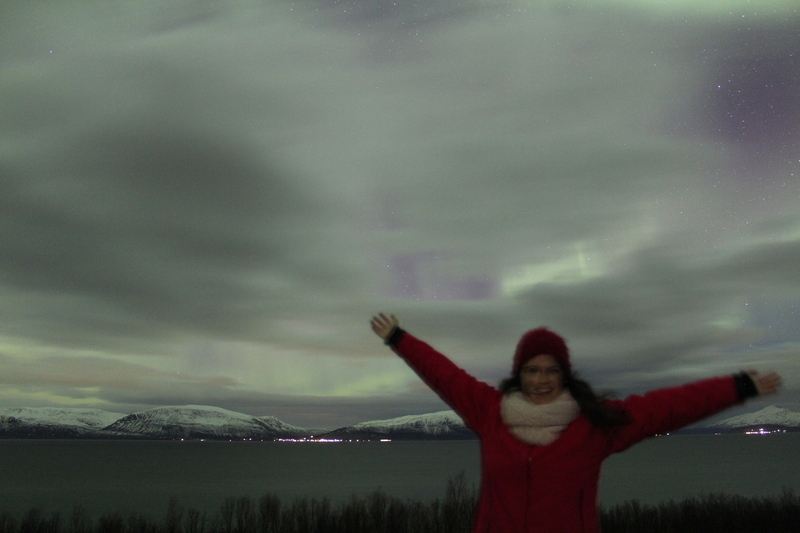 I would 100% visit Norway again – even in the winter! Next up: Christmas in Vienna. We hope that when it comes to us going we can see her too!